A blessed Christmas Eve to those who follow the old calendar and a happy Epiphany to the new calendarists! A few weeks ago on the feast of Saint Hilarion (Troitsky) of Vereya, Patriarch Kirill of Moscow delivered a sermon on the epistle reading from Galatians at the Stretensky Monastery: “Living in the Spirit.” May it be edifying for you. 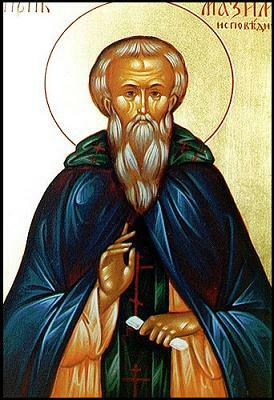 Let us ask Saint Hilarion to pray to the Lord that we may always walk in the Spirit.